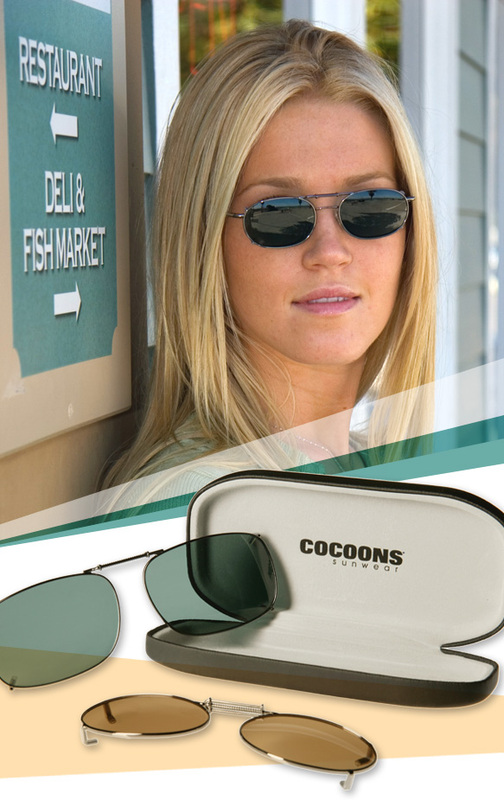 The convenience of snapping on a pair of Cocoons Clip-Ons by Live Eyewear over your favorites specs is certainly appreciated, and even more so now that it’s summertime. The increased demand for such an easy way to keep bespectacled peepers safe from the sun did not go unnoticed—Live Eyewear has decided to appease all Clip-On lovers by adding seven new sizes in their top selling shapes. The Cocoons collection now comprises a whopping 49 shapes and sizes all featuring a lightweight monel chasses design in your choice of gunmetal or bronze finish, and gray or amber Polaré polarized lenses. What’s even better is that these Clip-Ons fit over 99 percent of today’s most popular styles, so you’re sure to find a pair that more than suits your fancy.